Black and white image of the dec Programmed Data Processor. In book called PDP-1 production model. 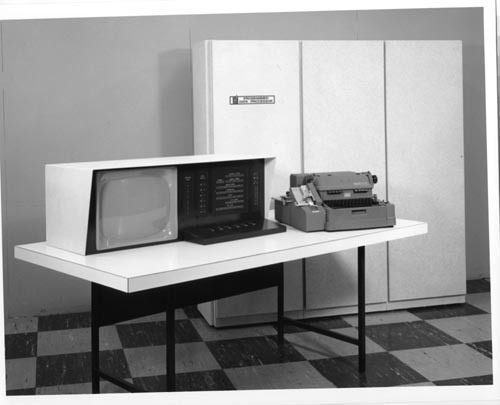 It shows console with display and teletypewriter on a table with three system cabinets in the background.